Join Penn Golf Club for only £325 now!!! PlayMoreGolf is the new way of paying for a golf membership; giving you the benefits of a club membership on a category that suits how much golf you play. For £325 a PlayMoreGolf membership will allow you to play up to 30 rounds of golf per year. You can also use your PlayMoreGolf membership for up to 3 guests per round. You can hold a handicap and play in certain competition; and have access to play on all other PlayMoreGolf courses across the UK. By joining PlayMoreGolf you can enjoy this superb 6,174 yard 18 hole golf course. 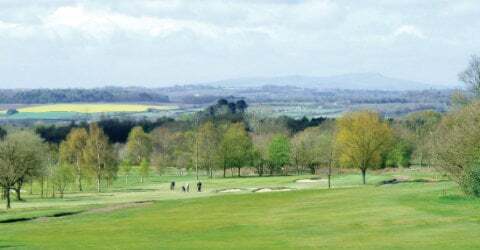 Penn Golf Club is a high quality heathland golf course of much character, set in the picturesque surroundings of Penn Common where the city border meets the rural countryside of South Staffordshire.